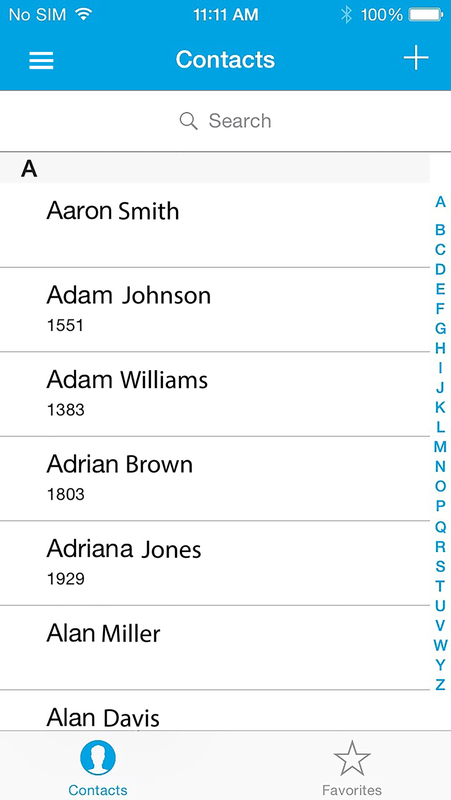 Contacts displays all contacts on the PBX and iOS device. 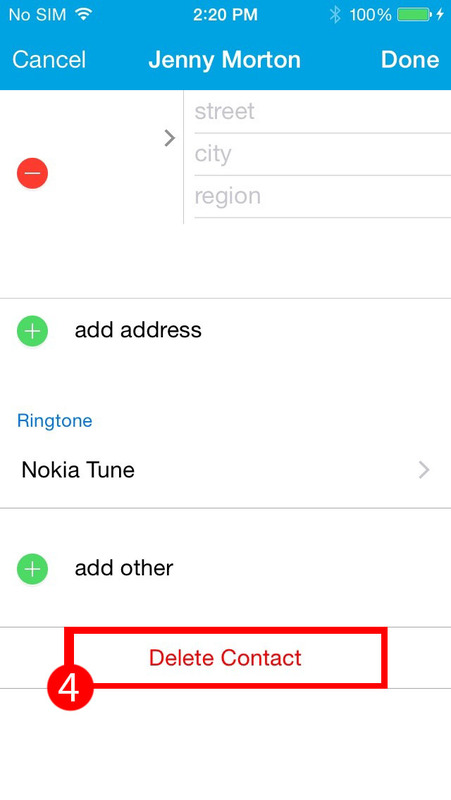 Tapping an entry will dial the contact. 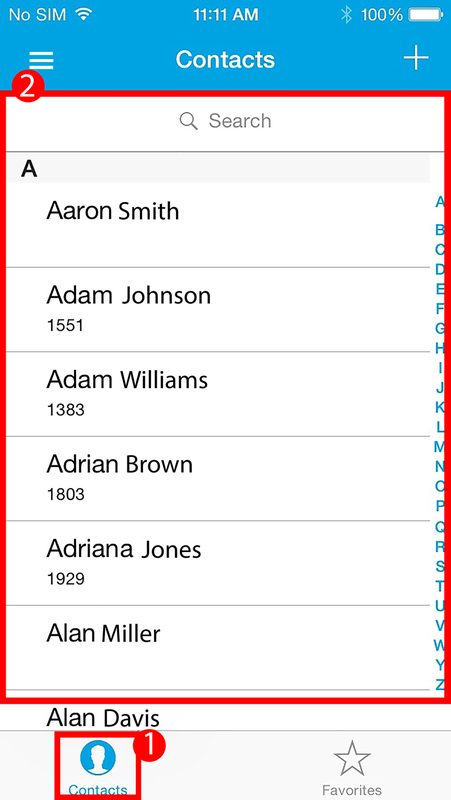 Use the search bar at the top to quickly find the desired contact. 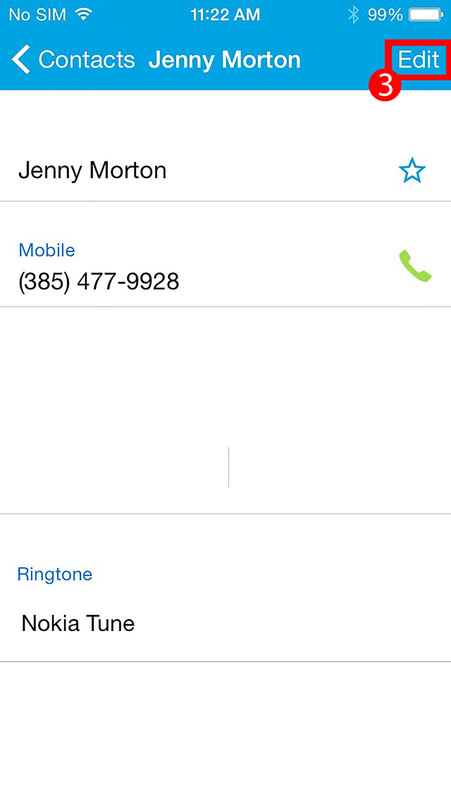 To access the call history, tap in the upper-left corner to access the app switcher and then tap [Contacts]. Displays the local directory for the PBX. 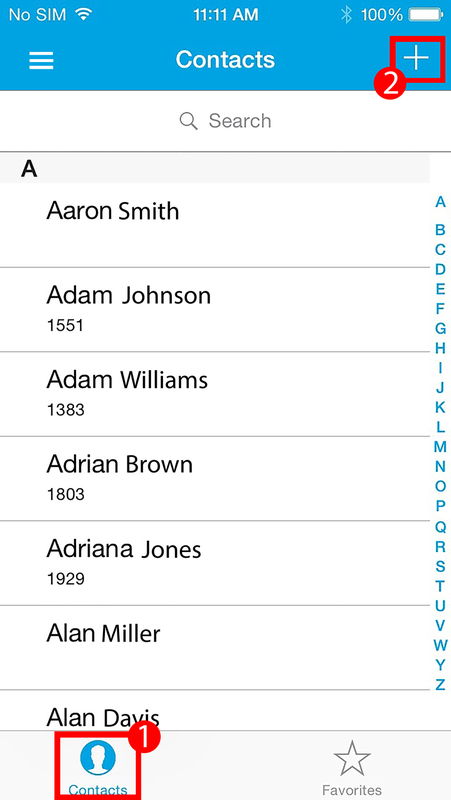 Displays favorite contacts as defined and created by the user, and will be synced between the Mobile App, Jive Desktop, and Jive Web. Users can also turn on presence monitoring for favorites to see if they're available, busy, or unavailable. 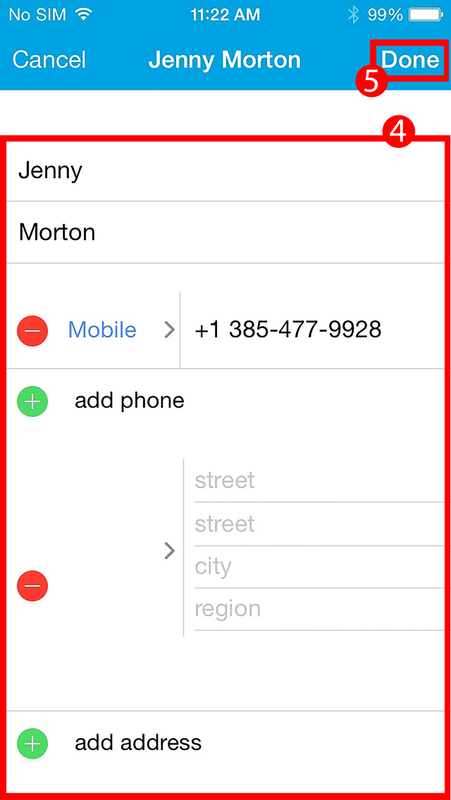 Note: Only contacts created with the app can be edited. 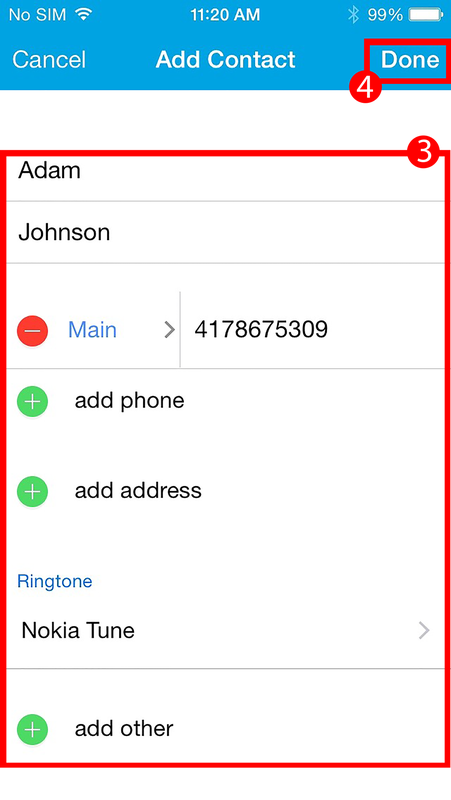 Phone contacts and Company directory contacts cannot be edited. Press on the edit button on the top bar. 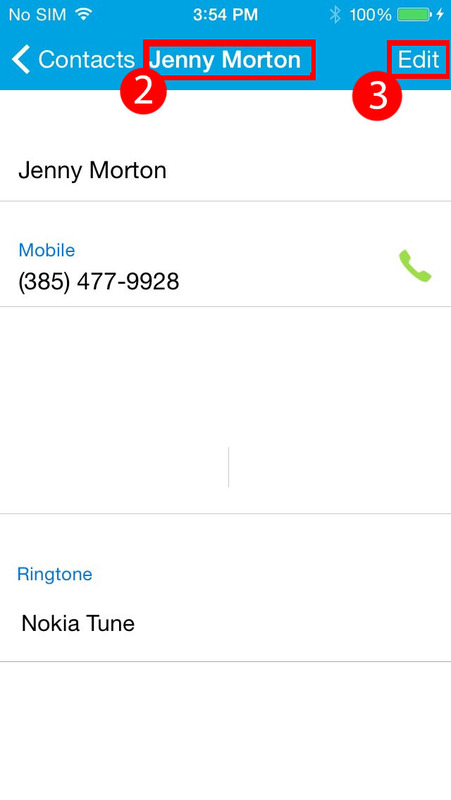 Select the contact you want to delete. Scroll down and tap "delete contact"